The National Institute for Staff and Organizational Development (NISOD) at The University of Texas at Austin mourns the loss of Dr. Suanne Davis Roueche. From her days as a community college faculty member who famously tracked down wayward students in the hallways and dragged them to class, through her long tenure as NISOD’s director, Suanne never stopped doing everything possible to serve faculty and students, especially students who have traditionally been underserved. Her impact on NISOD and the community college world will be long lasting. 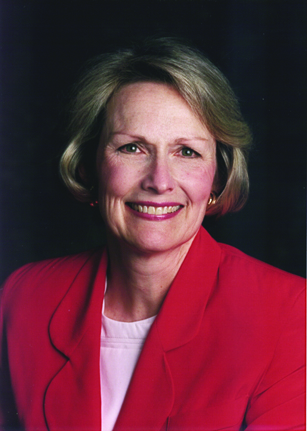 Suanne served as NISOD’s director from 1985 to 2000. Under her brilliant leadership, NISOD’s membership went from 50 institutions to 750, and attendance at the annual conference went from 152 participants to approximately 2,000 upon her retirement in 2000. As publications editor, Suanne disseminated Innovation Abstracts to approximately 100,000 weekly readers. After stepping down in 2000 as NISOD’s director, Suanne continued to serve as NISOD’s editor until 2012 and as a senior lecturer in the Department of Educational Administration. Suanne graduated from North Texas State University with B.A. and M.A. degrees in English. She received her Ph.D. in educational administration from The University of Texas at Austin, in 1976. Her major program of work was completed in the Community College Leadership Program (CCLP) in the Department of Educational Administration. Prior to beginning her graduate work, Suanne taught for nine years at El Centro College (Dallas, Texas), developing and implementing a nationally recognized developmental studies writing program. Suanne has spoken to more than 450 colleges, universities, and conferences about teaching and learning. She is the author of 17 books and more than 60 articles and chapters focused on teaching and learning in American colleges and universities. Her most recent publications are Rising to the Challenge (with John E. Roueche, Martha Ellis, and Melinda Valdez-Ellis, 2013); The Creative Community College: Leading Through Innovation (with John E. Roueche, Melissa Richardson, and Phil Neal, 2008); Practical Magic: On the Front Lines of Teaching Excellence (with Mark D. Milliron and John E. Roueche, 2003); In Pursuit of Excellence: The Community College of Denver (with John E. Roueche and Eileen E. Ely, 2001); and High Stakes, High Performance: Making Remedial Education Work (with John E. Roueche, 1999). Others include Embracing the Tiger: The Effectiveness Debate and the Community College (with John E. Roueche and Laurence F. Johnson, 1997); Strangers in Their Own Land: Part-Time Faculty in American Community Colleges (with John E. Roueche and Mark Milliron, 1995); and The Company We Keep: Collaboration in the Community College (with John E. Roueche and Lynn Sullivan Taber, 1995). Suanne has been recognized for her contributions to higher education and to the professional growth and development of community college educators with numerous honors, including the American Association of Community Colleges’ (AACC) National Leadership Award (1997); two Distinguished Research Awards (1995 and 1993) and an Outstanding Research Publication Award (1984) presented by the AACC Council of Universities and Colleges; CCLP Distinguished Graduate Award presented by the College of Education, The University of Texas at Austin (1990); The Great Seal of Florida presented by the governor, legislature, and St. Petersburg Junior College for outstanding contributions to higher education in Florida (1989); and the Yellow Rose of Texas presented by the Texas governor and legislature for her contributions to the State (1983). Suanne is listed in Who’s Who in America, Who’s Who in the World, Who’s Who in Women, and Men and Women of Distinction. Suanne enjoyed her work as a wildlife rehabilitator, earning required state-mandated licensure/certification permits to rescue and rehabilitate injured and/or orphaned wildlife until they are healthy enough for release at approved release sites. She was affiliated with the National Opossum Society, the National Wildlife Rehabilitators Association, Wildlife Rescue and Rehabilitation (in Kendalia, Texas), and Austin Area Wildlife Rescue and Rehabilitation. Suanne served in various leadership positions with the Assistance League of Austin, a local chapter of the National Assistance League, a nonprofit organization with more than 122 chapters across the United States. She served two terms as president and as chair of grants, as well as the chair of the chapter’s scholarship program. Suanne also served the National Assistance League in various committee roles, as National Director of Philanthropic Programs from 2009 to 2011, and as chairman of the National Task Force for Philanthropic Program Assessment from 2011-2014. Suanne was married to John Edward Roueche, President, Roueche Graduate Center, National American University, and CCLP Director Emeritus and Sid W. Richardson Regents Chair Emeritus, The University of Texas at Austin.